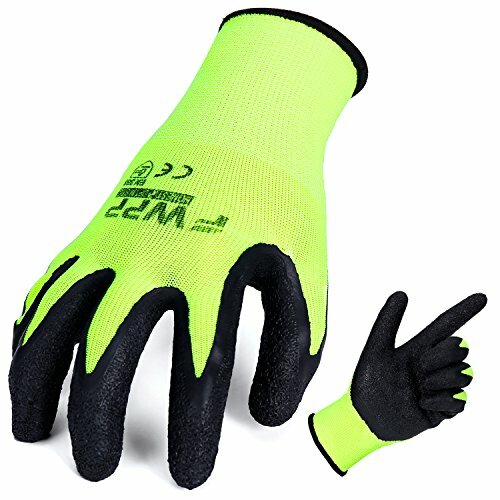 This kind of gloves are made of high visibility fluorescent yellow nylon. It is very light, breathable, flexible and comfortable to wear. The palm is made of high quality natural latex. Soft comfortable and antiskid wear resistance.Protect the hands from abrasions while working. This kind of gloves are suitable for warehouse, transportation, automobile production, construction, mechanical production and other working environment. This kind of gloves have Medium,Large,Extra-large size, please choose your hand size specifications of gloves, hand washing, natural drying, not sun exposure, not drying. Our company is committed to personal safety protective equipment research and development of production and sales. Brand products reached the international standard authentication. Strictly control the quality of raw materials, production process, the design rationality, the packing and shipping process. Our aim is - the Production of the PPE We are serious. After you buy complete our products, we are very happy to see your feedback, to help us improve. If you have any question can contact us in time. ▲▼This kind of gloves are made of high quality natural latex coating. ▲▼Soft comfortable and antiskid wear resistance. ▲▼The gloves have medium large and extra large size. Please select the size according to your personal requirement. ▲▼Our company specialized in production of protective gloves, products sold all over the world, for many famous brand products for the generation of processing. We serve every customer carefully. If you have any questions about this product by FWPP, contact us by completing and submitting the form below. If you are looking for a specif part number, please include it with your message.